Chickens and Bees: Win Tickets To See CATS the Musical! 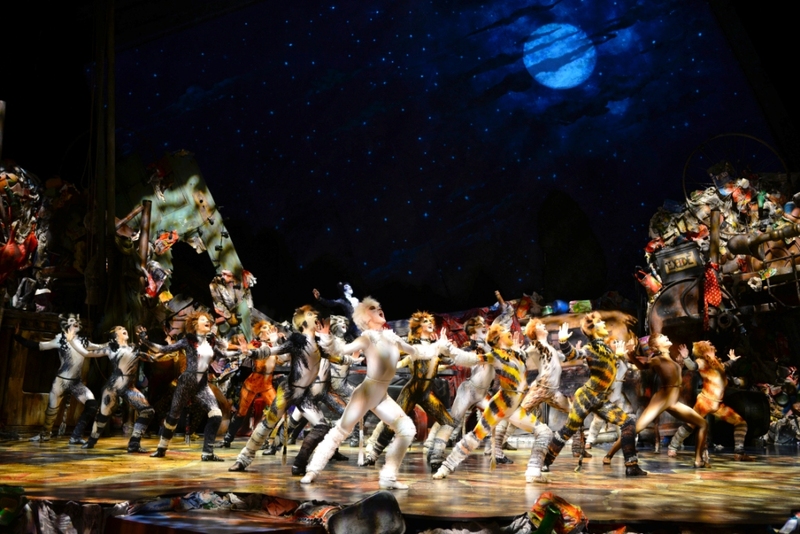 Win Tickets To See CATS the Musical! The winners of the Cats the Musical competition have been decided by our judge... They are Pamela and Marita! Well done and have fun at the show! Thanks to everyone that entered and check back at the blog for more competitions soon! It's no secret that I love cats. We have four of them, and it is a lot of cat. Do you know what's almost as good as real cats? People dressed as cats who sing and dance! It's true! CATS is one of my very favourite musicals and it is currently on a tour around Australia. I was so excited that I purchased tickets to see it with my very own money the very day they were released. Then I was contacted by the lovely people at Cavanagh PR who are sending me and Chyken to opening night and have given me some tickets to give away. Read on to find out how YOU can win some of them! If you've never seen CATS, well, shame on you! It tends to be one of those musicals that people either love or hate, I am firmly in the love category! Pussycatties AND a musical? What's not to love!? Basically though, it's based on T.S. Eliot's Old Possum's Book Of Practical Cats, it has music by Andrew Lloyd Webber and it is set in a junkyard. The performers act like cats, it really is extraordinary to see, they never break character and if you know cats at all I guarantee you will see familiar movements going on. The Jellicle Cats come out to play on one special night of the year, for the Jellicle Ball! They all have a chance to tell their story to Old Deuteronomy who is their leader and who will choose just one cat to ascend to The Heavyside Layer and be reborn into a new Jellicle life. The cast includes Delta Goodrem, and although I was initially hesitant when I heard this announced, I have watched a couple of videos since the show started in Sydney, and I think she's great as Grizabella, I'm really looking forward to seeing her. 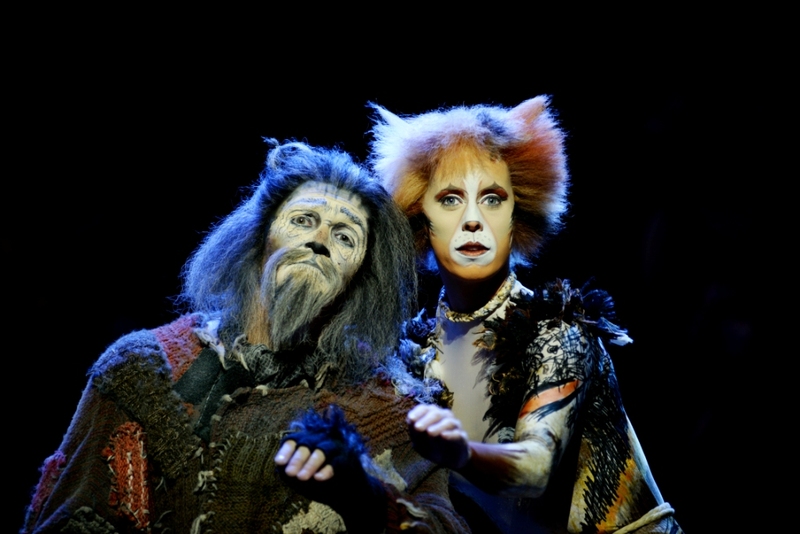 CATS really is an ensemble show though, and although you might not know the names of those that make up the rest of the cast, I bet you've seen them in other shows. CATS is currently in Sydney and the reviews I've read have been excellent, I'm pumped for it to arrive here in Melbourne! Tickets start from $69.90 plus booking fees and all the information you need to buy them can be found by clicking this link! Buttttttt... Remember I said I had a giveaway? Well, I do! 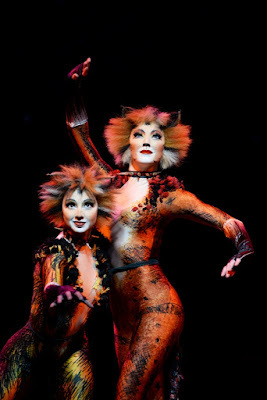 You can win one of TWO double passes to see CATS the Musical in the stunning Regent Theatre here in Melbourne on Friday 18th December at 8pm. These tickets are valued at $119.90 per ticket, so that means $239.80 per double pass. Entries close Sunday 15th November at 5pm AESST and I'll email the winners and announce them back here on this post and on my Facebook page shortly after that. All you need to to to enter is like Chickens and Bees and CATS the Musical on Facebook and then fill out the form below telling me why you want to win! I'll choose a winner based on the answer that tickles my fancy the most.